I knew her then, but her face was all hollow, as if from a fever. As she moved we heard the clink of chain links shifting, and the sheet slipped down. I felt the cold chafing weight on my own neck-- this feeling was so strong that both my hands clutched at my throat. Nanon wore an iron collar such as slaves would carry on their necks, coffled together in a line when they were taken off the ship, and I, Riau, had been locked into a collar like this one, when they brought me out of Guinée into this country. 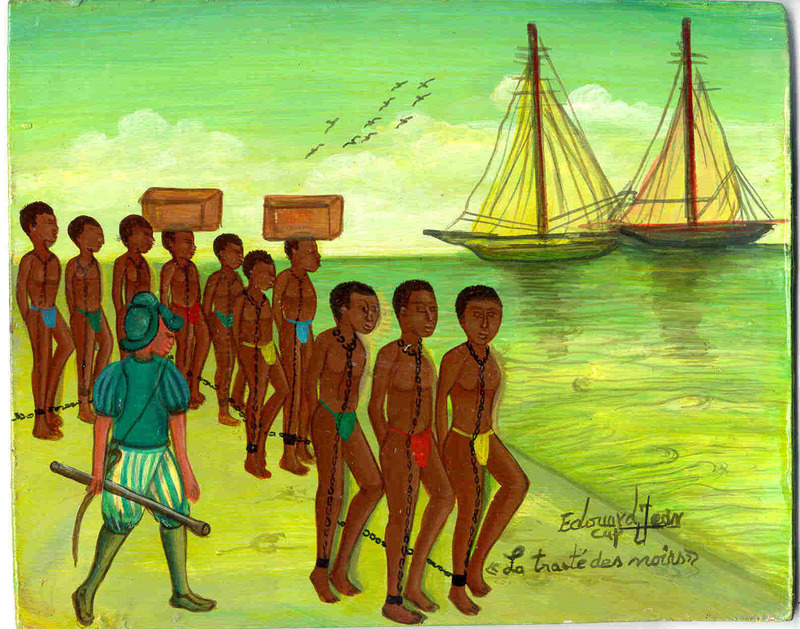 In a line of other slaves so chained I was brought from the stinking ship's hold to the barracoons outside Le Cap, and afterward sold on the auction block, and then Bayon de Libertat took me to Bréda.